We will only accept applications from qualified/experienced association managers. Serve as an Associate Executive Director for one of Essentient’s clients. This position will eventually become the primary point of contact for the assigned client and their leadership. You will work with other Essentient Association Management team members, including staff and contractors, to fulfill position responsibilities with our other association clients. Provide professional counsel to client Board of Directors. Balance the clients&apos; programs and services with their mission statement and strategic plan. Help clients set realistic goals, strategies and tactics. Manage projects to ensure targets, deadlines and financial goals are met. Report to respective Boards on a regular basis. Work with support staff as appropriate on execution of responsibilities. Keep Clients&apos; Presidents or designated contacts fully informed of matters affecting the association. Take a proactive role in providing leadership support and actively participate in clients&apos; meetings. Drive and monitor event marketing including sponsorship/exhibit sales. Travel onsite to events as needed to manage event operations. Work with support staff on online meeting registration. Assist clients with developing strategies and tactics to sustain and grow membership. Share latest best practices on membership with board/committees. Work with support staff in developing and disseminating membership surveys as requested by client. Assist clients with budget development and maintaining adherence to the budget. Regularly monitor clients&apos; financial positions; send monthly financial reports to Clients&apos; Presidents and Treasurers accompanied by an executive summary. 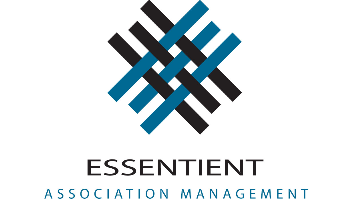 Work with Essentient Association Management’s staff accountant to fulfill financial responsibilities requested by the clients including presenting and explaining financial statements as needed. Work with communications staff to create clients&apos; marketing collateral. Work with communications staff in sending broadcast e-mails. Work with communications staff in ensuring clients&apos; web sites are kept up to date. Provide strong leadership to the client: set objectives, plan strategy, develop budgets, plan and execute actions, and report and interpret results. Overall responsibility is to optimize the client’s satisfaction. Plan and prioritize all of the sub-activities related to the above points with the goal of achieving agreed business aims. Attend and present at client meetings and functions, plus internal meetings; observe and report in both directions to ensure clarity and understanding is achieved and all client business activities function smoothly. Communicate, liaise, and negotiate internally and externally ensuring all participants understand tasks and timelines and be accountable, as the manager, for the results. Plan, produce and deliver professional meeting packages, reports and presentations for the client. 5 plus years working in association management. A CAE designation, while not mandatory, is desired.